Dr. Reyes graduated from The University of Texas Medical School at Houston and completed a combined Internal Medicine-Pediatrics Residency at the University of Rochester Medical Center, where she received the Hoekelman Award, given to the graduating resident who holds the greatest promise for success as a primary care practitioner. She enjoys traveling and has had clinical experience in Ghana, Guatemala, Honduras and Uganda. 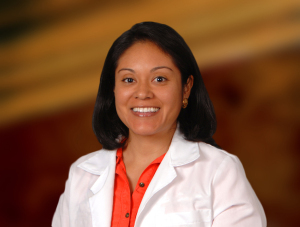 Dr. Reyes enjoys staying busy, learning new skills and challenging herself with new goals.